Brittany was a gifted instrumentalist, and played the clarinet, tenor and alto saxophone, and the oboe. She enjoyed playing those instruments in the marching band and the concert band at Oregon Trail Middle School and Olathe North High School. She also enjoyed playing soccer, playing both indoor and outdoor soccer, preschool until high school where she made the Lady Eagles Junior Varsity team. She found her niche in art classes, especially ceramics, gracing her family with numerous beautiful pieces from bowls to plaques, and in the Animation and Cartooning program at Olathe North. 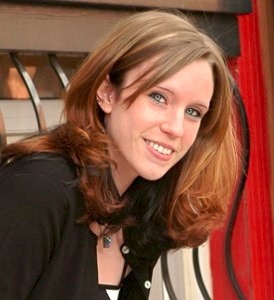 She graduated from Olathe North High School in 2008 and then completed three semesters at Johnson County Community College in the Computer Animation Program. After her time at JCCC, she spent a year and half living in the Salt Lake City Area where she loved being surrounded by the snow-covered mountains and incredible sunsets. She moved back to the Olathe area to be closer to her family, and worked various manufacturing jobs in the area, and enjoyed making everything from petri dishes to animal medications. Brittany loved people with her whole heart. She cared deeply for her parents, calling them her heroes for their selfless love and devotion to her. She loved her niece Abbie and considered herself a second mother to her friend’s daughter Raneara, spoiling them both every chance she got. She had a heart of gold and was very loyal to her friends, always willing to help them in any way they needed. She loved to buy gifts for her friends and family and had a generous spirit. Long car rides, deep talks, and hanging out by the lake (while occasionally playing hooky from work) were some of her favorite things to do. Giant belly-laughs were unavoidable when in her company. Ever the encourager, many of her friends remember her for spreading hope, love, and light in every circumstance. She richly blessed the lives of so many, and will be deeply missed. Sleep with the Angels, sweet girl. Brittany is survived by her loving parents, William and Janice (Barthel) Pollman of Olathe, her sister, Nikki (Pollman) Wiarda and brother-in-Law Jordan, niece Abbie, of Belton, grandparents Frank and Abbie Barthel of Bixby, OK, uncle and aunt Fred and Dorothy Brown, of Bixby, OK, and numerous cousins and treasured friends. She was preceded in death by her grandparents Hugh and Fern Pollman. In lieu of gifts or flowers, memorial gifts may be given to Wayside Waifs to honor Brittany’s immense love of animals.